Perfect location, close to town, right on the rail trail and everything else you need. A beautiful cottage reminiscent of the Hamptons, exquisitely furnished and touches of comfort throughout. Two luxuriously appointed bedrooms, air-conditioning, log gas fire, toiletries provided, coffee machine and fully equipped laundry. A picturesque garden with a BBQ and alfresco dining area. 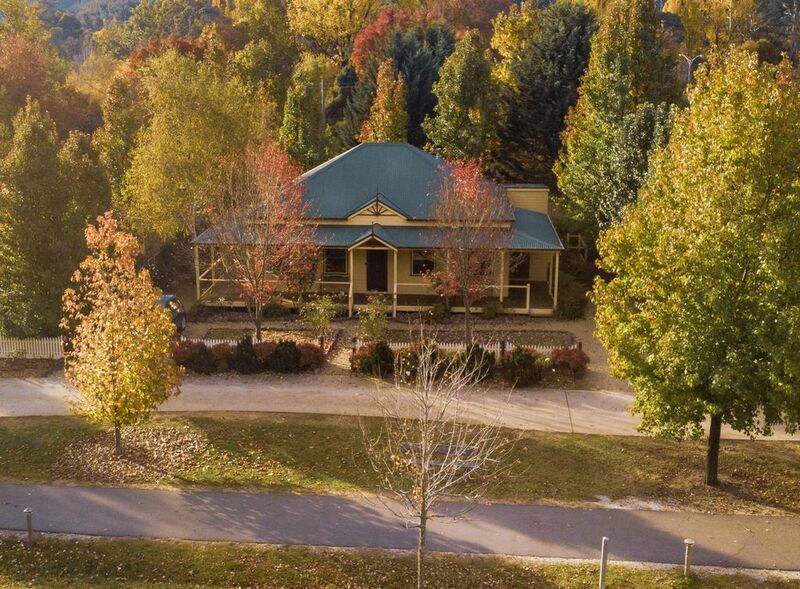 A short walk to the Ovens River or into town on the rail trail right on your doorstep. Inside this newly refurbished cottages you will be delighted with a comfortable open plan living space, a great area to enjoy each other company or sit around and relax with a book as you watch the people on the rail trail pass by. The private deck is a great place to relax in summer with BBQ and dining area. In winter the cottages are very cosy as they warm you up with a log gas fire or reverse cycle plit system. The bedrooms have heaters and electric blankets to keep you warm at night. The kitchen is equipped with everything you need such as crockery, cutlery and appliances including a brand-new coffee machine and meals can be cooked using the 2-burner cooktop. Each of the bedrooms are made up with quality furnishings, bedding and linen. Bedroom 2 - 2 single beds - Single beds can be made into a king at request. Spacious bathroom with shower, vanity and separate toilet. Please note we do not allow pets at our Cottages. Smoking is not permitted indoors.